Hotel Omni is loaded with necessary amenities and is a good choice for travellers. The rooms have light coloured walls and one side of the wall is panelled with vibrant wallpaper. The curtains make a delightful contrast against the pastel coloured walls and add to the vibrance. The room is furnished with wooden furniture and makes the stay convenient for the guests. The furniture is kept to bare minimum to provide the guests with ample space. The hotel has a seating area for the guests. 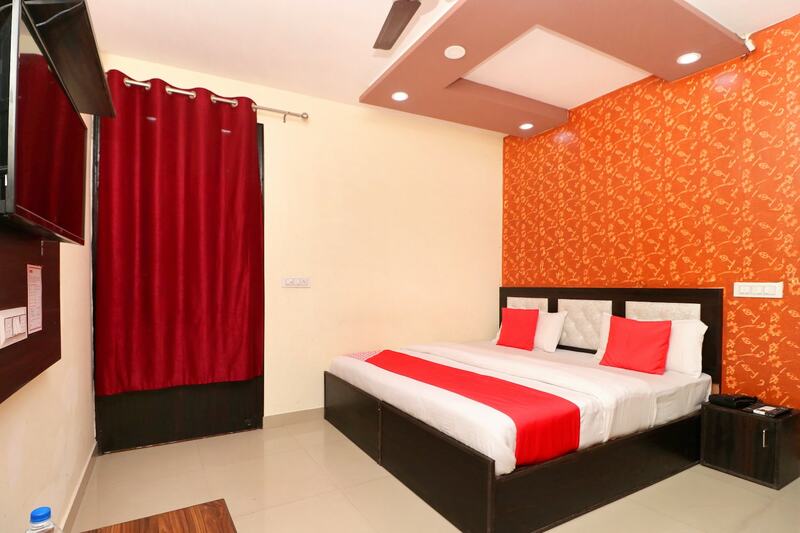 It offers laundry and parking facilities. Card payment is accepted here so one does not need to worry about cash transactions. CCTV cameras are present at the hotel to keep their guests safe.